The Afghan Taliban says it has suspended talks with the United States. Earlier, Afghan President Karzai stated he wants US troops to pull out from Afghan villages and hand over security control in 2013, a year earlier than planned. The group’s spokesman Zabiullah Mujahid said they suspended talks with the United States because of "shaky, erratic and vague" US position. Taliban and US negotiators were to have preliminary talks aimed at establishing an office for the Taliban in Qatar, which was seen as a symbolic step towards ending the war. 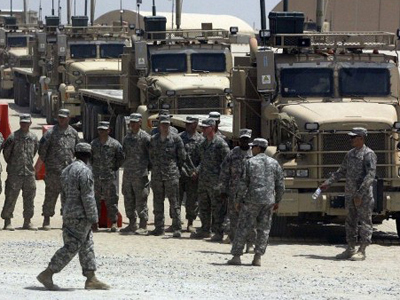 An exchange deal involving five Taliban being held in Guantanamo and one US soldier was also mooted. “The Americans initially agreed to take practical steps regarding the exchange of prisoners and to not oppose our political office but with the passage of time, they turned their backs on their promises and started initiating baseless propaganda portraying the envoys of the Islamic Emirate as having commenced multilateral negotiations for solving the Afghan dilemma,” the statement reads. The suspension of talks with the Taliban is seen as a setback in the effort to start peace negotiations. Obama's special representative for the region, Marc Grossman, has reportedly been holding secret talks with the militant group for more than a year. 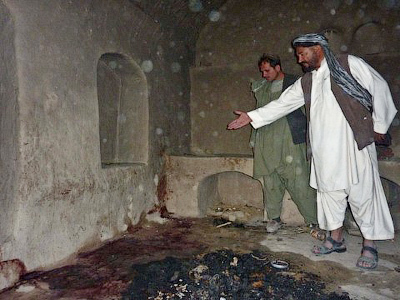 Until the massacre in southern Afghanistan, the process was considered to be going in the right direction, with the Taliban office in Qatar and the beginning of real talks on a possible peace agenda. The White House responded to the Taliban’s statement by saying that it remains committed to the Afghan reconciliation process, despite the news of suspended talks with Washington. Earlier on Thursday Afghan President Hamid Karzai said that NATO should withdraw its troops from villages and rural areas and move them back to the main bases. “We’re ready to take over all security responsibilities now,” President Karzai’s spokesman Aimal Faizi quoted him as telling Panetta. 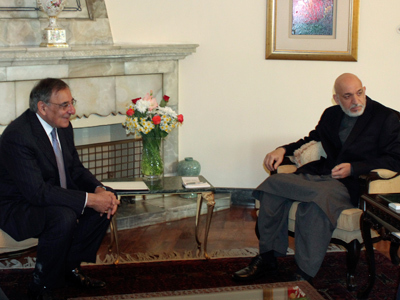 Karzai said, "Afghan security forces have the ability to keep the security in rural areas and in villages on their own,'' in a statement after the meeting with the US Defense Secretary Leon Panetta in Kabul. Karzai wants local forces to take over duties from US troops in 2013, a year ahead of what was previously discussed with the US, which promised to withdraw its troops by 2014. 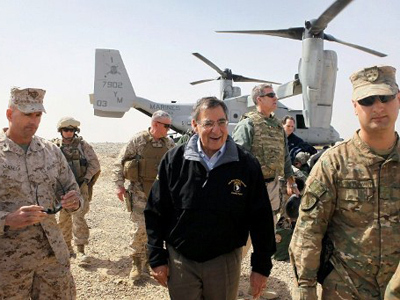 Panetta arrived in Afghanistan unexpectedly on Wednesday following the deaths of 16 women and children shot by at least one US serviceman. 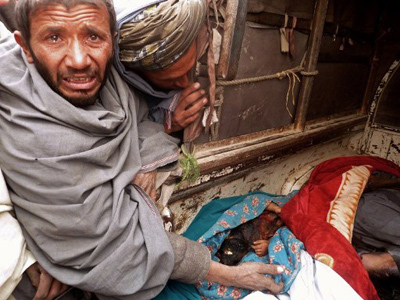 Talking to Panetta, President Karzai has called to do everything possible to prevent such incidents in the future. The demand from Karzai comes a day after US President Barak Obama and British Prime Minister David Cameron said there would be no changes to the plan to pull out of the country by 2014. "I don't anticipate, at this stage, that we're going to be making any sudden, additional changes to the plan that we currently have,” President Obama said. Meanwhile, the US soldier accused of slaying 16 villagers was held by the military in Kandahar until Wednesday evening, when he was flown to Kuwait, as, according to a Pentagon spokesman there are no appropriate detention facilities in Afghanistan.